Dickman Park	Dickman Park is in the St. Anthony West neighborhood originally known as the Main Street Northeast Playground Site. 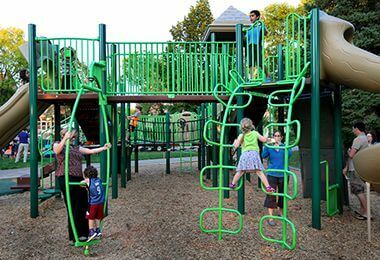 The current playground was installed in 2014. 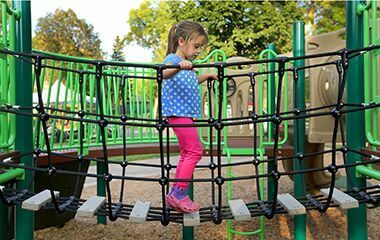 It features two play structures specially designed for ages 2-5 and 5-12. There is also a seesaw, a spinning feature, swings, a shade umbrella and a playground surface that is fully accessible. A sand play area is provided in a separate circular container. Name: When acquired, the park was logically called the Main Street Northeast Playground Site. 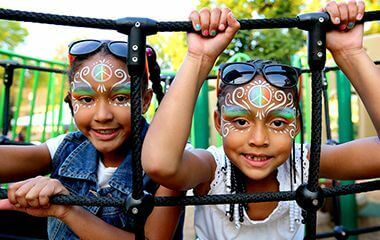 The park was named in 1955 for Ralph E. Dickman, a youth worker in northeast Minneapolis, attorney and Hennepin County Commissioner. The initial 1.23 acres of land for the park were purchased by condemnation in 1949 for $8,500, following original authorization to spend up to $10,000 to acquire the property in 1948. Although the park was smaller than desired, it was located in a neighborhood described as under-served in a 1944 survey of park properties and the needs of the city. The park was expanded in 1954 in an unusual deal. Pioneer Engineering Works acquired ten acres of land from the park board at Northeast Athletic Field in exchange for an acre of land it owned adjacent to Holmes Park and five parcels of land the company bought for the park board to expand Dickman Park. The original deal was for the Holmes land and $30,000 in cash, but the district court, which had to approve all land dispositions by the park board, ruled that the deal had to be for land only. So Pioneer bought the land at Dickman Park and turned it over to the park board. Before the park was improved in 1955, an additional 0.39 acre was also purchased by condemnation. In 1955, the park was filled and graded after the buildings on the land were moved. Initial plans were for a small athletic field, volleyball and basketball courts and a picnic area. In 1957 a wading pool was added to complete initial construction. Skaters at Dickman Park were able to put on their skates in a warming house for the first time in the winter of 1958-1959. 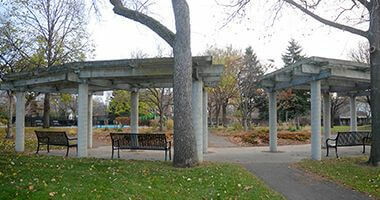 A recreation shelter for the park was completed in 1962. Dickman Park facilities were renovated in 2014, including a new playground, two new benches and a new picnic table. Take a break in Dickman Park. The playground features a seesaw, a spinning feature, swings, and a shade umbrella. 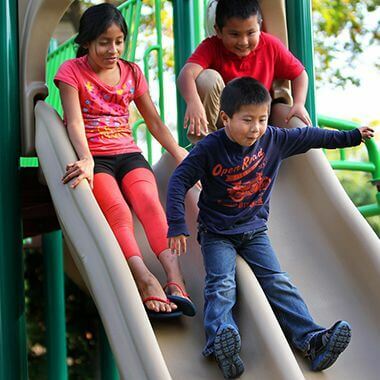 The playground features two play structures specially designed for ages 2-5 and 5-12. Dickman Park features both a full size playground and a tot lot for the smallest family members. 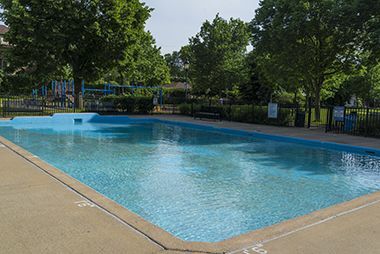 Cool off in the summer at the Dickman Wading Pool. See our other wading pool locations.